You want to go to Belarus, but you don't know if you need a visa or you don't know how to get a visa to Belarus? In this article, we will tell you everything about obtaining a Belarusian visa, its price and required documents. 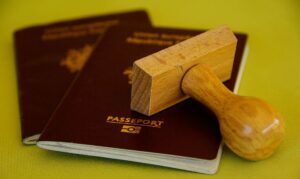 Entry and exit of citizens of 80 States are visa-free for up to 30 days if made through the Minsk National Airport checkpoint. medical insurance in an amount not less than 10000 euro, valid in Belarus. D) long-term with validity up to 1 year and stay of up to 90 days. Entry visas are divided into single, double and multiple. proof of payment of consular fees. group (per person) - 10 euro. With regard to citizens and residents with special status in Latvia, Lithuania, Poland, Estonia, Japan and Serbia different rates of consular fees are set.